← Patricia Randolph’s Madravenspeak: What’s Left to Hunt? The Tundra Swan? About a quarter of the trappers in Wisconsin attended the Conservation Congress spring hearings to vote 3,152 to 2,127 to end restrictions on trapping activity from 8 p.m. to 4 a.m. After the Natural Resources Board plays its traditional role of killing enabler, this will raise trapping hours another 50 percent — about 7 million annual “trap days” will become over 10 million trap nights and days. Mentoring trapping with kids who are too young to understand trapping classes passed 3,960 to 1,248. Seventy out of 72 counties voted for this child and animal abuse. It reveals the composition of this supposedly public election. Market trapping took wildlife to the brink of extinction at the beginning of the 20th century. Now in far less habitat, degraded and fragmented, these professional trappers move hundreds of traps throughout six months of take, clearing one public land expanse of life, and moving on to clear the next. With 10,000 of them working all public lands, this is the end of wildlife. They are trapping for the 1.3 billion Chinese market. 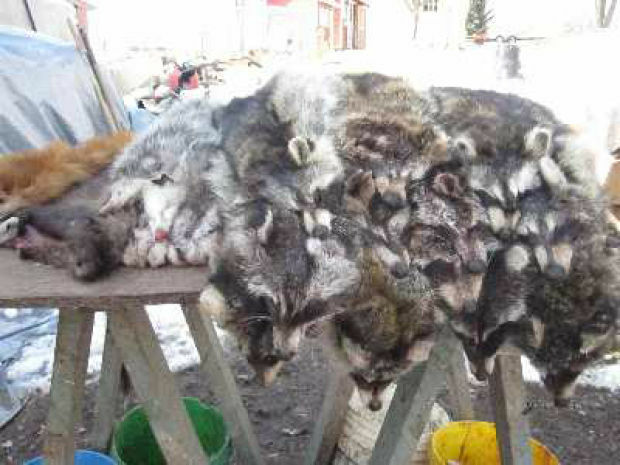 The fur trim and fashion market is taking out wildlife worldwide. There are no words to describe the cruelty of trapping, but people too squeamish to look enable it to continue. People can and must end this now. Life is not endlessly resilient. Bats and pollinators have shown us that. Look at it this way: All of us 5.7 million citizens own a public store. But 10,000 citizens can take as much as they can grab for six months, and sell it outside of the store for a profit. The rest of us have no currency to save or remove any part of it. That is the trapping factor. We bought the store and are to steward the contents under the Public Trust Doctrine, but we allow hunters to render us completely powerless. 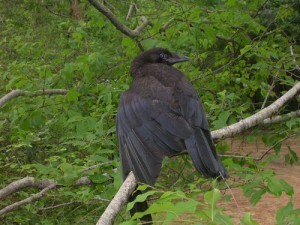 We have that in common with wildlife. About 7,000 citizens attended the Conservation Congress hearings statewide. In contrast to trapper attendance, 0.0012 percent of the general public attended. Either 9,888 of 10,000 Wisconsin citizens did not know about this election and vote — or the vast majority of nonhunters just don’t care about the public lands they purchased to hike, bike and watch wildlife, or the rivers they paddle. This is a corrupt process and either must be annihilated or publicized to the general public. Many activists petitioned Wisconsin Public Radio to cover the issues before the election so citizens could participate. I was invited to go on the Joy Cardin show the morning after the election before the results were in. The tundra swan hunt and albino deer hunt were soundly defeated, although protection of white deer in the CWD zone was voted down. The proposal to let hunters enter private land without landowner permission was defeated by a frighteningly small margin — 3,038 to 2,589. Jane Meyer, hunter wife of George Meyer, head of the Wisconsin Wildlife Federation of hunting clubs, was re-elected to a fifth three-year term in Dane County, 245 versus 195 votes for the humane candidate, Dawn Sabin. Dawn spoke out against running packs of dogs on wildlife year-round, against killing wolves, and for respect for our wild brethren. Jason Dorgan, involved with the Ice Age Trail and a hiker who “fondly remembers fishing with my grandfather,” won the two-year position. The usual hunter/trapper candidates won across the state. State Rep. Chris Taylor deserves a lot of credit for attending. She seemed surprised that the candidates were first announced that night. She seemed stunned that after a three-minute candidate presentation, leaving out many issues, citizens attempting to ask the candidates questions were told that was not allowed. Taylor is the first state legislator I have ever seen attend this election in Dane County. Legislators accept the “sole advisory” recommendations of this special-interest killing cartel, without ever witnessing the reality of it. “The entire production is such a sham and clearly a mockery of democracy,” wrote Elizabeth Roberts, police officer in Kenosha County, after attending her second Conservation Congress election. Lisa Neff is writing a nine-part series on wolves in Wisconsin. I asked at the table when “registering” where the literature on the proposed and current candidates was so I could make a better decision on the vote. Wow, you should have seen the dumb look I got. The reply, “they go over all of them inside.” What that meant was, “this is who is currently doing the job, no one opposed, done, he got it again then” for both. There was the deer video and then they proceeded to read every…… single…… question/proposal…… aloud. I left…take that back, I submitted my humane votes and then left. Talk about a one-sided event, they might as well have called it the hunter/trapper meeting. If the only votes ever counted are those received at those meetings, well then nothing is going to change because only the “killers” seem to attend. We are organizing a coalition with the new citizens outraged about the abuse, torture and killing of wolves. I want to re-focus this group as an activist group that empowers all of you to participate fully in outreach, education, and learning the realities of this rigged system and how to change it to democratic reform. But that will take people organizing together in numbers. We are up against a very organized NRA/hunting/trapping/hounding/Farm Bureau coalition of killing groups, includind Safari International and the Koch Brothers who inject funding and legislation to destroy our commons. Wisconsin has become an NRA/Koch Brothers model of abuse. So each of us has to network the site and people can donate a dollar, $10, $25 or $100 or whatever they can to fight for a first time democracy and humane treatment of the web of life that supports human life. I served on the trapping committee of the Wisconsin “Conservation” ( killing ) Congress that lobbied itself into sole advisory to the legislature and Natural Resources Board when I was the first delegate ever elected ( in then 65 years ) to represent the non-hunting public. Market trapping will wipe out our wildlife in a few short years if it is not completing the job now. We have to act now or lose everything. Just take the white nosed bat fungus that has now been recognized in Wisconsin. 95% mortality rate. Bee colony collapse worldwide because of the atrazine phalates, nicotinoids, and complex poisons of Monsanto being layered constantly on our food and water systems. CWD now in 25% of the 2 year old bucks in the expanding diseased areas of the state. These diseases with no cures can happen to any species at any time. So we need to save all we can. If you are interested in becoming an educator and outreach leader in your community, contact me at Madravenspeak@gmail.com. We will be creating educational literature and a program for other activist groups to join us in coalition. Thanks for commenting and attending the election. It is an election and we are looking for two candidates to stand up for their community in helping wildlife and reforming an entrenched corrupt privatization of our state agencies to killing obsession. Hi- Thanks for reblogging. I am seeing some movement toward understanding and using the Wildlife Public Trust Doctrine to challenge the abuse, torture and massive killing of our wildlife. The Wolf Front, newly formed with the destruction of wolves here in Wisconsin and across the mid-west and west, is forming a coalition beyond our borders to fight for reform of the corrupted political structure which is destroying our commons. You have to break in to the good Ole boys club …go undercover …like on Idaho’s Coyote and wolf kill contest…them people been had….